So Addyson saw a preview for the movie, Percy Jackson Lightening Thief on television a few days ago and asked me if we could watch it. 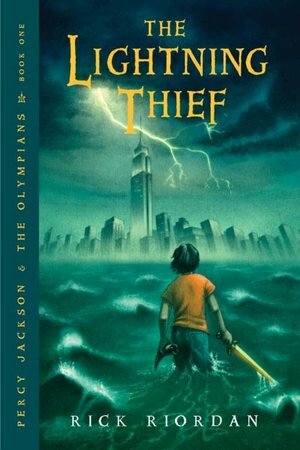 I replied with a, “No not this time BUT that movie was made from a book so I’ll read the book and see if it might be a good book for us to read in the future.” She was a-okay with that answer and I followed through with my word and checked out the first book in the Percy Jackson series by Rick Riordan. I was hooked!